The Barone Group is carrying on a family tradition of excellence in residential real estate that was established in Lincoln Park in 1966. From first-time homebuyers, to CEOs, to some of the city's finest builders, the group’s client base is diverse. They have extensive knowledge and specialize in the city's near north side including: Lincoln Park, Bucktown, North Center, Lakeview, Lincoln Square, Sauganash, Forest Glen and Wildwood/Edgebrook and the entire Northwest side of Chicago. Together with a full- service team of experts, the Barone Group extends its knowledge of real estate in other areas such as Lincolnwood Towers, Glenview, Park Ridge, the North Shore, the North West Suburbs and the outlying Chicagoland area. 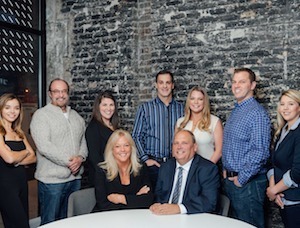 The Barone Group is bringing together the knowledge of long-established real estate leaders who have an unwavering commitment to their clients, and the edginess of COMPASS whose innovative marketing strategies and cutting edge technology enhance the Barone Group’s stellar service.